Volunteers are an integral part of the Seasons Hospice team, providing compassion and care when it is needed most. The heart and hands of hospice, they provide a special kind of caring to patients, families, and staff through helping to make the hospice experience manageable and rewarding. Men, women, and young people of all ages and backgrounds volunteer for Seasons Hospice in a variety of roles. These volunteers work with staff to provide supportive care and services for patients and families. Services may include offering companionship, transportation, assistance with chores, running errands, or providing respite for the family caregiver. If you are interested in being a patient/family care volunteer, training is required and is offered as a two-day in-house training at the Seasons Hospice administrative office. Or you may participate in an online training program. Volunteers are a welcoming presence at the hospice house, providing hospitality for patients and guests. 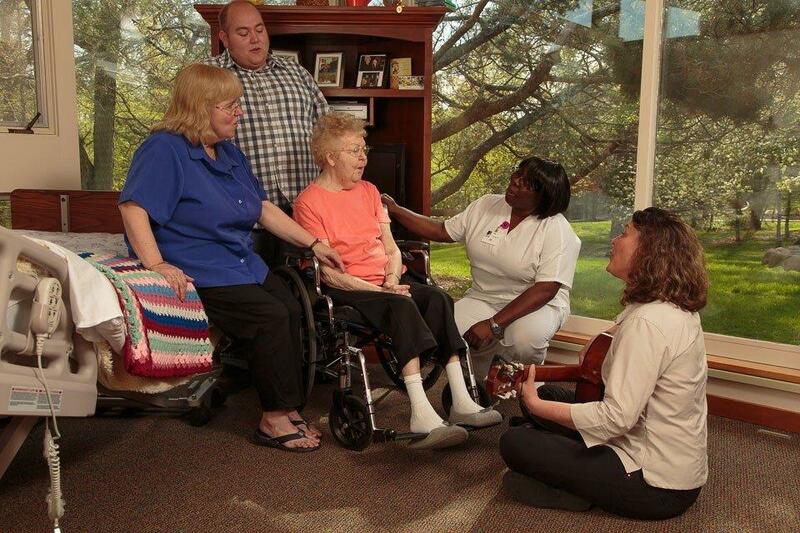 Duties range from light housekeeping, baking, cooking, and providing companionship to patients. The hospice house grounds are filled with beautiful gardens that require the tender loving care of our grounds volunteers to maintain. These incredible volunteers give the gift of presence when death is imminent so that no one should have to die alone. Volunteers working with the Center for Grief Education and Support are an essential part of the team. They provide grief support aftercare services for family members through phone calls, cards, clerical support, assisting with grief support groups, or providing personal support. Office volunteers offer clerical assistance with filing, answering phones, computer entry , mailings and working on community events such as our annual gala. Seasons Hospice cares for our patients wherever they call home and our patient volunteers often visit patients in nursing homes, assisted living facilities, group homes, and other residential facilities. These highly trained pet therapy teams visit patients wherever they may reside, bringing joy, contentment, and solace. We have both dog and horse pet therapy teams. View pet therapy video below. Veteran volunteers provide an extraordinary kind of support and companionship to our dying veteran patients. Through bedside visits, these men and women offer a final salute and thanks for their service to our country. This special group of volunteers come together as a community hospice choir that sings for patients at the Seasons Hospice House twice a month. Fill out an online application or contact Chris Humble, Director of Volunteer Services: (507) 285-1930 ext. 1201.